C/Aangli, 60, 08017 Barcelona, Spanien. 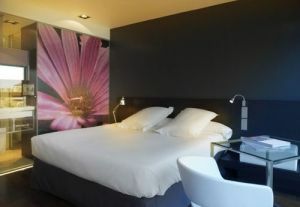 Hotel Eurostars Angli is a design hotel built 3 years ago. It has 48 modern rooms where the light plays a very important role. The hotel is full of contrasts, games of light and crystal. 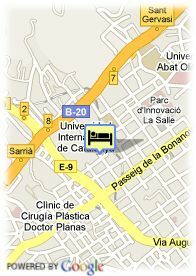 It is located in the high zone of Barcelona and to only 15 minutes of the center in car. The hotel has a landscaped area with an outer swimming pool. It is the ideal place for the relaxation. The warm atmosphere that its personnel offers, causes that the Anglí hotel is suitable as much to enjoy a relaxed stay of leisure like organizing their meetings of work.